I have captured this female 'Common Warthog' at Kruger National Park, early in the morning. 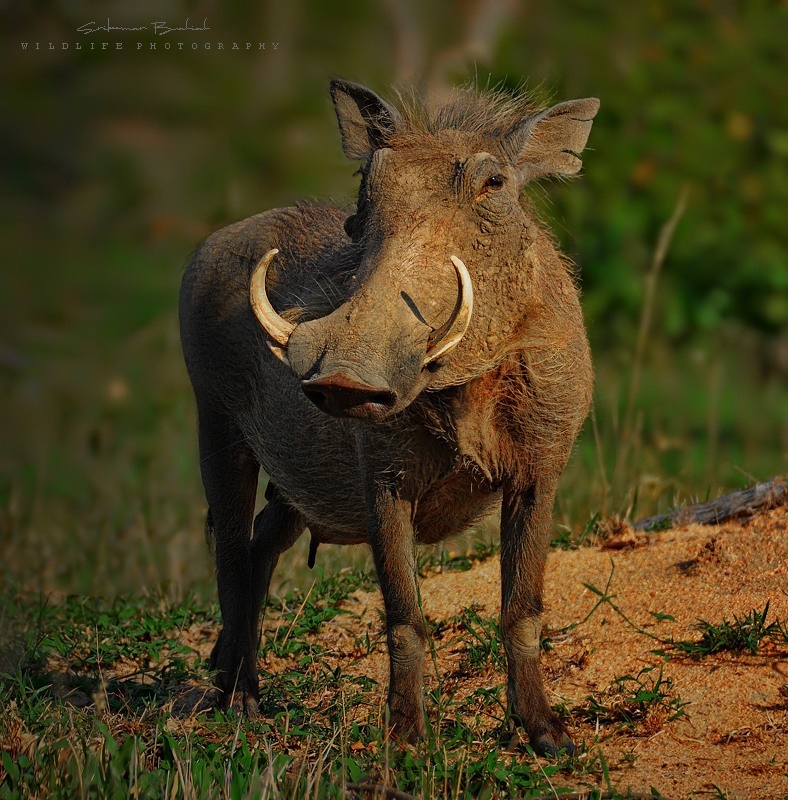 Common Warthog is a wild member of the Pig family, found in grassland, Savanna and woodlands in Sub-saharaan Africa. The upper Canine teeth can grow to 25.4cm long. Fine details. Excellent approach and bokeh. Excellent details as usual. Very good colors too. Excellent photo of this Warthog taken from a good low POV. The light is very beautiful and the sharpness spot on. Really good picture Srikumar, really good! Sharp, details, light, position and background! Thank you for sahring it. The tight frame is putting the animal in evidence. The point of view is showing the details of the Common Warthog. The light is bringing out the colours. Have a nice day.